What Does the Last Name Schmitz Mean? 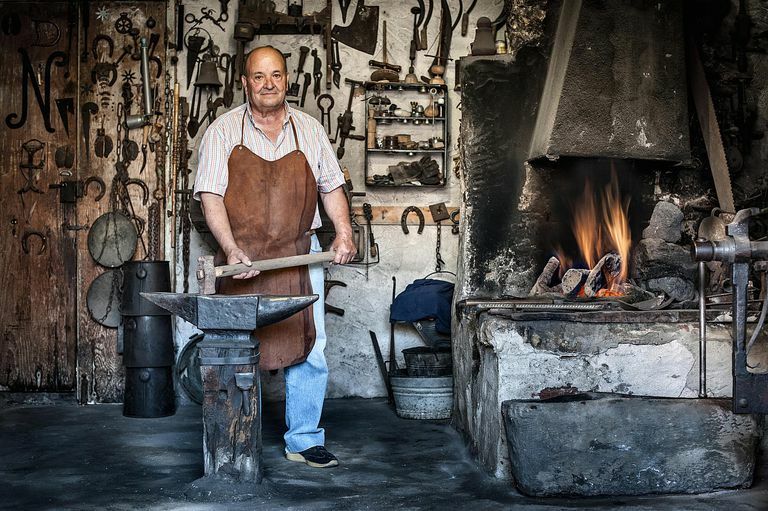 The surname Schmitz is an occupational surname for "blacksmith" or "metalworker," from the German word schmied or the Danish smed. In some cases it was used as a patronymic form of Schmidt, meaning "son of Schmidt." See also the surnames SCHMIDT and SMITH. SCHMITZ is the 24th most common German surname. Where is the SCHMITZ Surname Most Common? The SCHMITZ surname today is most prevalent in Germany, according to surname distribution from Forebears, where it ranks as the 25th most common surname. It is more common based on population percentage, however, in the small country of Luxembourg, where it is the 6th most common last name. According to WorldNames PublicProfiler, Schmitz is extremely common throughout the country of Luxembourg, especially in the Diekirch region. It is also especially frequent in the Nordrhein-Westfalen and Rheinland-Pfalz regions of Germany. Surname maps from Verwandt.de also indicate Schmitz is most common in western Germany, in places such as Cologne, Rhein-Seig-Kreis, Rhein-Erft-Kreis, Rhein-Kreis Neuss, Euskirchen, Düren, Aachen, Viersen, Mönchengladbach and Düsseldorf. Uncover the meaning of your German last name with this guide to the origins of German surnames and the meanings of the top 50 most common German surnames. Contrary to what you may hear, there is no such thing as a Schmitz family crest or coat of arms for the Schmitz surname. Coats of arms are granted to individuals, not families, and may rightfully be used only by the uninterrupted male line descendants of the person to whom the coat of arms was originally granted. Over 2,400 individuals with the Smith surname—including variations such as Schmidt, Smythe, Smidt and Schmitz—have joined this DNA project to use DNA in combination with genealogy research to sort out over 220 distinct groups of Smith descendants. Search this popular genealogy forum for the Schmitz surname to find others who might be researching your ancestors, or post your own Schmitz query. Explore over 5.5 million results from digitized historical records and lineage-linked family trees related to the Schmitz surname on this free website hosted by the Church of Jesus Christ of Latter-day Saints. RootsWeb hosts several free mailing lists for researchers of the Schmitz surname. Explore free databases and genealogy links for the last name Schmitz. GeneaNet includes archival records, family trees, and other resources for individuals with the Schmitz surname, with a concentration on records and families from France and other European countries. Browse genealogy records and links to genealogical and historical records for individuals with the Schmitz surname from the website of Genealogy Today.